Sony introduced new feature for Xperia Sola, besides the update to Android 4.0, the company decided to ease the winter for its users - the phone can now be used with gloves. So, Nokia Lumia 920 is no longer the only smartphone which can be used with gloves. This is possible when the phone is in "Glove Mode" which is already included in the Sony upgrade of Ice Cream Sandwich. The mode uses the "floating touch" technology of this device, which so far was mainly used for opening the drop-down menu without touching the screen. "Glove Mode" can detect a finger through a pretty thick gloves. Dropbox informed its users that now they can share their files that are attached to Dropbox in the Facebook groups in which they are members. When the users will chose "Add File" in any of the groups, now they'll have another option, selecting a file from your Dropbox account. 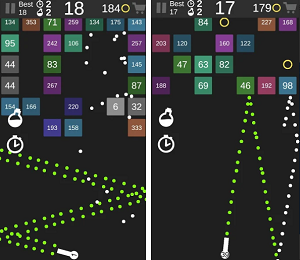 "Now you can share notes with your study group, add the latest game schedule to your basketball team’s group, or post a birthday video to your family’s group at lightning speed from wherever you are," it is stated on the Dropbox's official blog. And like almost all things on Facebook, the members of the group will be able to like or to comment on the post from Dropbox. 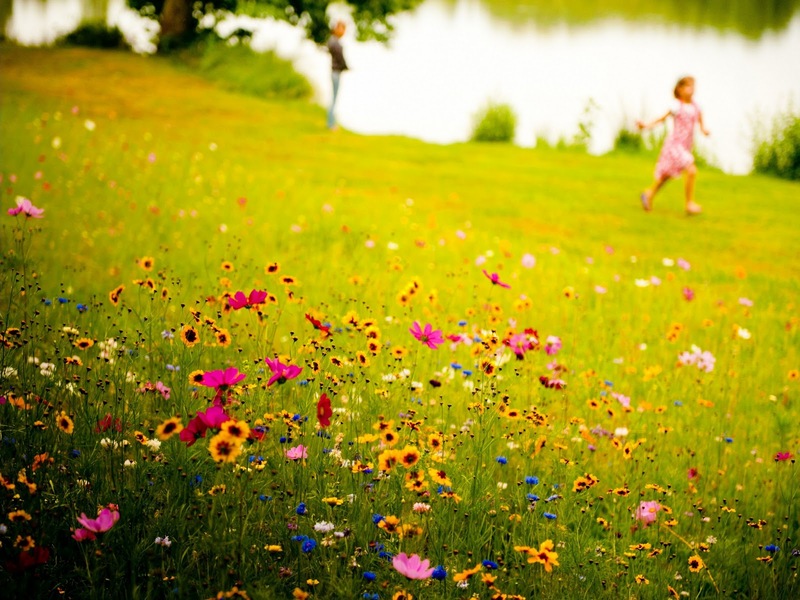 Documents shared via Dropbox can be taken, and if carried out changes, then they will be automatically updated. This makes this new integration a great way if you need to share files larger than 25MB, given that Facebook does not allow more, or if you have a document that you regularly update, so you'll save time re-posting it. 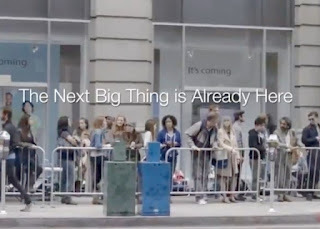 South Korean electronic giant Samsung has announced a new video in which he is making fun of the fans of the American company Apple who are waiting in line and not knowing much why they are buying iPhone 5. So, the "Battle" between the two giant goes on. The amount of compensation that the South Korean company Samsung must pay Apple for infringement of its intellectual property rights could, simultaneously,be tripled and to increase from one to three billion dollars, said the French electronic media. A court in California declared that Samsung violated Apple's patents and a copy of its popular devices - the iPad and iPhone, condemning South Korean company to pay more than a billion dollars in damages. Apple, after the U.S. won in the trial against Samsung, Samsung chips decreased supply of its new iPhone. Samsung is a major supplier of Apple, "he produces chips - DRAM and" flash "memory - NAND. Reducing supply is one of the first consequences of the conflict between Apple and Samsung. The company Apple has also filed another lawsuit against Samsung, for banning the latest smartphone of this company, the Galaxy S3. Samsung Galaxy S3 is also joining the list of smartphones and "tablet" devices company Samsung that Apple seeks ban on U.S. sales. Apple seeks temporary ban on sales of a number of Samsung phones, primarily from the palette of the Galaxy, which, among other, are selling through telecommunication operators AT & T, Verizon and T-Mobile, and among them are some of the latest models that are compatible with the 4G, announced the French newspaper "Nuvel observater". The models for which Apple ask temporary ban are the: Galaxy S 4G, Galaxy S2 AT & T, Galaxy S2 Skyrocket, Galaxy S2 T-mobile, Galaxys S2 Epic 4G, Galaxy S Showcase, Droid Charge and Galaxys Prevail, and now Galaxy S3 also, which was launched three months ago. 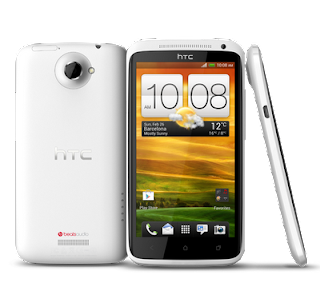 Android 4.1 Jelly Bean arrives for the owners of HTC One X. Users of this HTC smartphone can be happy, the latest Android will be ready to use next month, and it will come with the HTC's Sense UI interface. Android 4.1 will first arrive to owners of unlocked (rooted) devices, and later to others, the date depends on the operator. BGR reports that the users of the AT & T network could get Jelly Bean around Christmas. It's still not know will HTC One S (who got the award for best social media phone) get the latest version of Android. 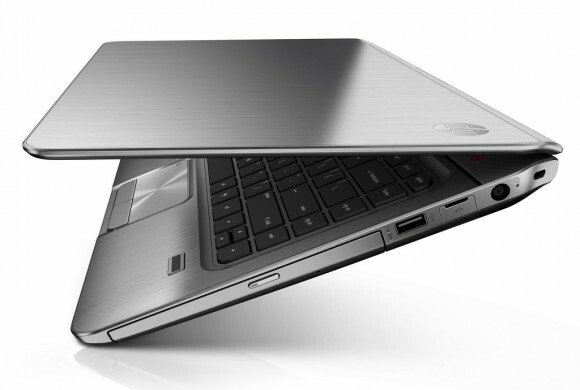 HP launched Envy M4, a new laptop that will work on the newest operating system from Microsoft, Windows 8. HP Envy M4 which will be on sale from October 26. 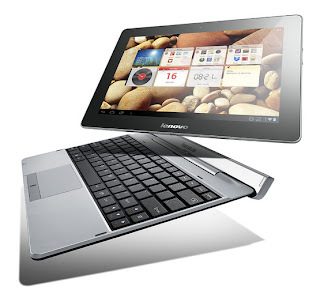 It is a 14-inch laptop with an Intel processor (i3 or i5), with up to 8GB of RAM and 1TB HDD. The screen resolution is 1366x768 pixels, and the casing is made from aluminum. This model will be available at a price of $899. Beside Envy M4, HP presented another two lap tops: Pavilion - Pavilion Sleekbook 14 that works on AMD processor and 15.6-inch model that runs on Intel CPU, and the initial prices are $499 and $559. As the new Envy, this two lap tops will work on Windows 8. HP also introduced new devices, including the NFC Touch to pair mouse, who, in case you don't have NFC on your laptop, you can connect it via Bluetooth. It will be available from November at a price of $39. 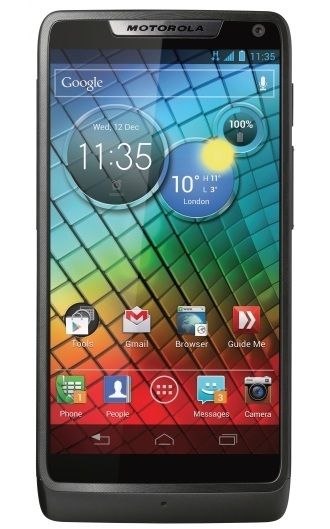 The first Motorola smartphone that will work on Intel processor was presented today in London. It's the model Razr i, Intel version of Motorola Razr M who was presented at the beginning of the month, and who will sell in Europe and Latin America. Razr i is a smartphone with Intel Atom processor (2GHz Atom Z2480 Medfield ), it has a 4.3-inch screen, 8-megapixel camera and a 2,000 miliamp battery and is working on Android 4.0. Although it looks almost identical to the model for the American market, which use a Qualcomm chip, the Intel model will have the "Intel Inside" logo at back. From October the phone will be available in: United Kingdom, France, Germany, Brazil, Argentina and Mexico, and the price has not been announced yet. 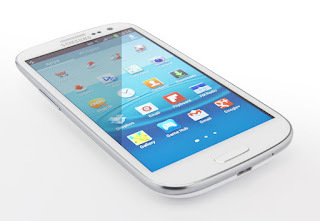 Samsung Galaxy S III is a success. Few weeks ago, it was announced that this smartphone was sold in 20 million copies. But, Samsung is already preparing the next generation. According to Korea Times, Samsung plans to introduce the new Galaxy S at the MWC show in Barcelona, which takes place in February, and the device could go on sale in March. Referring to sources from Samsung, the Korea Times writes that the screen will be a bit bigger and will reach 5 inches, it will have the latest Android and an OLED screen. If this is true, the new Galaxy S will come to the market only nine months after the release of the previous version, and will represent a new step of the Korean company in dealing with the increasingly competitive smartphone market. 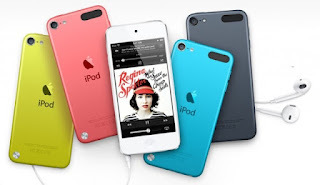 Finally, after two years, Apple made a change in the most popular music player iPod, which to date has been sold in around 350 million copies, and now has some new functions like Siri and iSight camera. The new iPod Touch is made from high quality aluminum and has a thickness of 6.11 mm and weighs 88 grams. iPod Touch has a much better quality 4-inch screen, will run on A5 processor and will use the new iOS 6. With the dual-core process and graphics, the iPod Touch has become an even better game console. The battery is also improved and it can last for 40 hours. In addition, the new generation iPod Touch comes iSight camera of 5 megapixels with auto-focus and flash, while the front camera has a quality of 720p. And do not forget, the voice assistant Siri is also available. Apple also introduced the new iPod Nano. It has bigger screen, and it's lighter and thinner than the previous version. It looks like a smartphone and is the smallest Nano ever. It uses Lightning connector. It will have a Bluetooth, and there is another battery added that will allow users longer usage of the device. It also has an integrated FM tuner and displays videos in full screen. Both devices will be on sale from October, iPod Touch will cost $299 for the 32 GB model and $399 for 64GB. 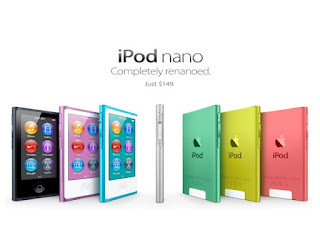 iPod Nano comes in a 16GB model that will cost $149. 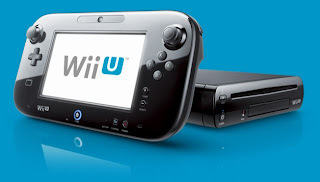 The new console from Nintendo, Wii U, will arrive in American stores in 18th of November and will cost $300, while the deluxe version will cost $350. Back in June, Andrew E. Rubin, Senior Vice President of Mobile at Google, announced that there are 900,000 Android devices activated each day. 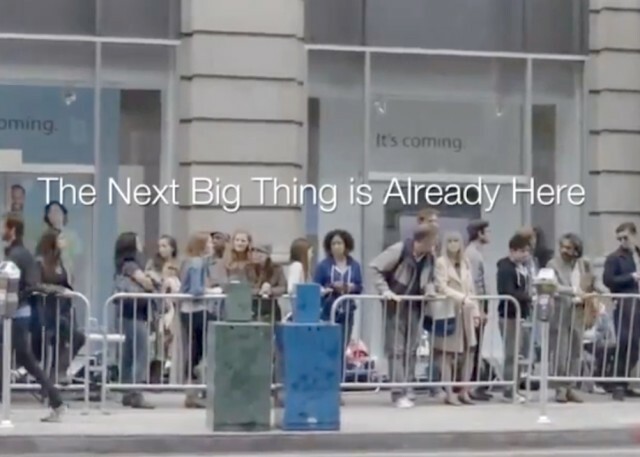 The day that many Apple die hard fans have waited, has finally come. iPhone 5 is available to buy in the United States. There are so much posts, reviews and videos for iPhone 5, so we decided no to write about it. We'll just show you maybe that best video that reveals the specs of this wonderful phone. 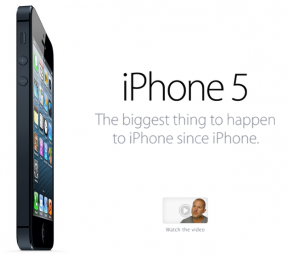 Check out the official presentation of iPhone 5. 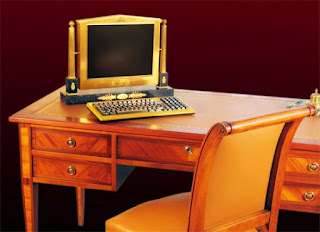 George Chirita, a Romanian electronics engineer came to idea to unite tradition and technology. On its annual conference - IDF (Intel Developer Forum), which will be held next week, Intel intends to present the fourth generation of Intel Core processors, also known under the name Haswell. The new generation of processors, the successor to Ivy Bridge microarchitecture, will use 3D tri-gate transistors made with 22-nano-metric process, and the first computers with such processors will be available in the second half of 2013. Although the production process of Haswell will be identical with that of Ivy Bridge, the new processors will bring significant improvements, such as AVX2 graphics, Direct3D 11.1, OpenGL 3.2, and support for DDR4 memory, and for its work it will use almost half the energy of the latest Intel's generation of processors. Аt least one version of the Haswell processors will have a TDP (Thermal Design Point) of 10 W. Ivy Bridge processors, which can be found in various ultrabooks, have 17, and processors in laptops 35-watt TDP. The significant reduction in TDP at Haswell processors will save space for the cooling elements and at the same time will maintain the performance and appearance of thinner devices with higher capacity batteries. The new computers with Haswell processors will introduce a new technology called "Connected Standby", ideal for use on new Windows 8 PCs. 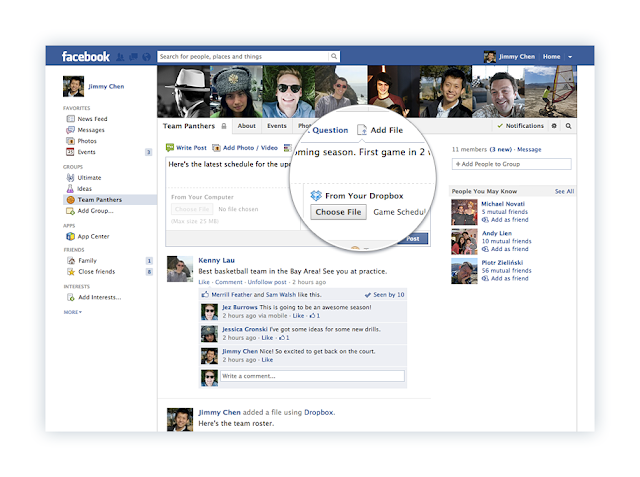 In this mode the computer does not idle, the screen is switched off and with reduced energy use it refreshes the e-mail, social networks and synchronize the data with those in the cloud. It can stay in this mode for up to ten days with a single battery charge . People at Intel are aware of the fact that the time period until the appearance of Haswell is too long, so they renewed their i3 and i5 series. New models have two to four cores and clock speed from 2.7 to 3.4 GHz, and also a lower price offer, lower power consumption and higher efficiency. In addition to the presentation of new Windows 8 devices, including several tablets with Microsoft's new operating system, at the IDF a new concept, called Perceptual Computing, will be presented. This concept will bring developments in speech processing and recognition of gestures, by shifting the boundaries of human-computer interaction. The network of sensors with which it will be equipped (GPS, gyroscope, acceleration-meter, camera, voice recognition, interfaces and interpretation of gestures) will enable to the computer more 'awareness' of their environment and the user's intentions. The offer was made ​​in April, the regulatory body has approved it in August, and now Instagram officially belongs to Facebook. 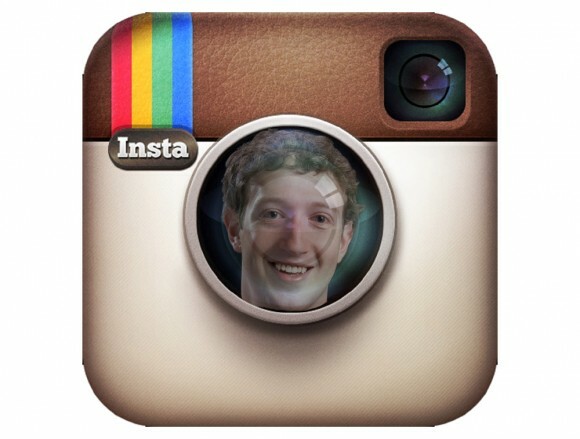 Facebook has announced the purchase of Instagram back in April, for $1 billion. Instagram unofficially asked for $2 billion. However, as in the meantime, the price of Facebook shares fell, and Facebook has agreed with Instagram to 23 million shares and $ 300 million in cash, it turns out that Facebook will eventually pay about $700 million, reports the BBC. Kevin Systrom, founder of Instagram, announced yesterday that he was very excited to officially become part of the Facebook family. "I'm excited about the new section is in this journey," he wrote. Instagram was launched in 2010, first as an application only for iOS, and now has over 50 million users. At a conference organized together with Verizon, Motorola unveiled the Droid Razr M, Droid Razr HD and Droid Razr Maxx HD. 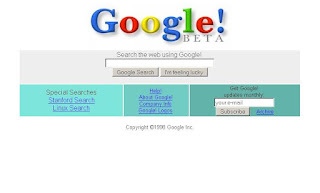 This is first presentation of new devices after Google bought Motorola, and that this change occurred, it was already clear at the beginning of the conference, with the appearance of Eric Schmidt, the executive chairman of Google, on stage. 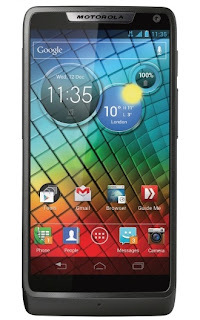 Motorola Droid Razr M, the smallest (and cheapest) of them, will be the first that will go on sales and will cost only $99 with the offer by Verizon. It is a device with 4.3 inch Super AMOLED Advanced display, dual-core Snapdragon processor at 1.5 GHz, 8-megapixel camera and a front VGA camera, and 1 GB RAM. 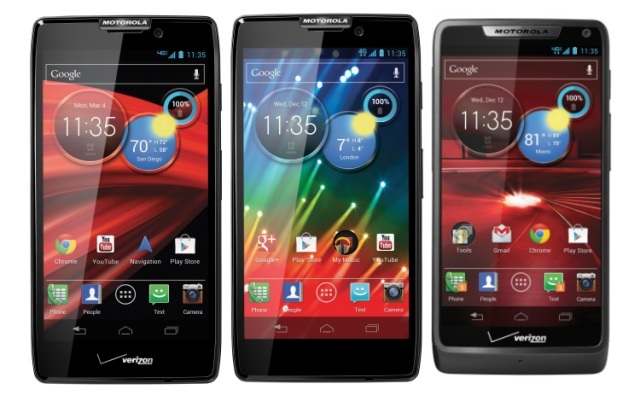 Droid Razr HD and Droid Razr Maxx HD will go on sale later this year, and also have the S4 Snapdragon processor and 1GB of RAM. Both phones have a 4.7-inch Super AMOLED HD screen, front 1.3 megapixel and 8 megapixel rear camera. Razr HD has a 2.530 mAh battery, and the Razr Maxx HD 3.300 mAh. 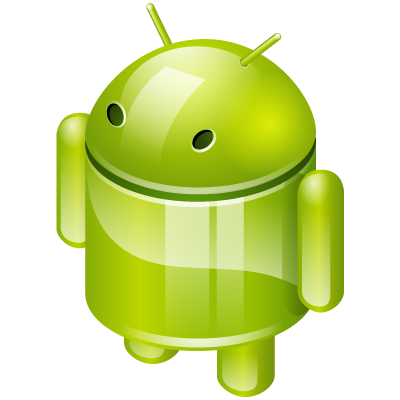 All devices are on the ICS version of Android, but they'll get Jelly Bean upgrade by the end of the year. Today, HP presented its new portfolio of printers. 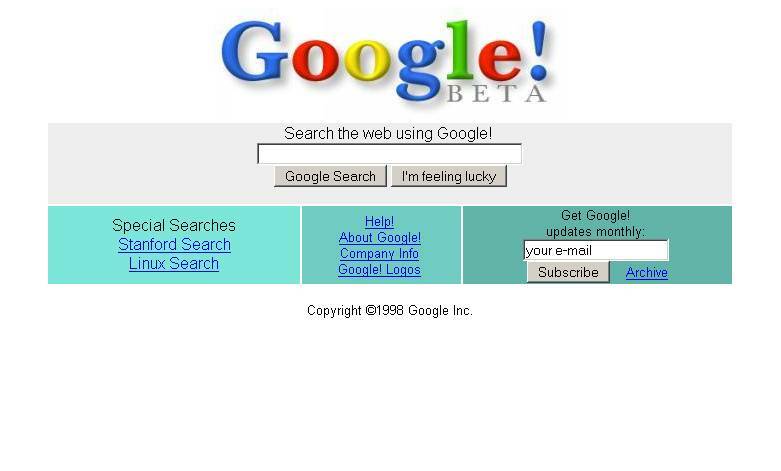 On the exact same day, 14 years ago, Larry Page and Sergey Brinn incorporated Google as a privately held company. 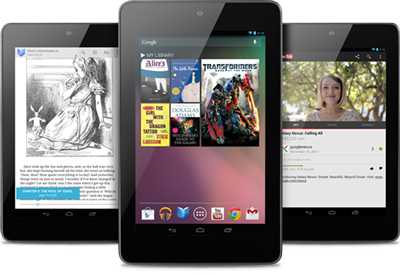 8 million Nexus 7 tablets will be sold by the end of 2012. Research company Gartner recently predicted that by the end of this year Google could sell between 6 and 8 million copies of Nexus 7. That's more than double of the estimate that was immediately made after the presentation of Nexus 7 by the representatives of Google. 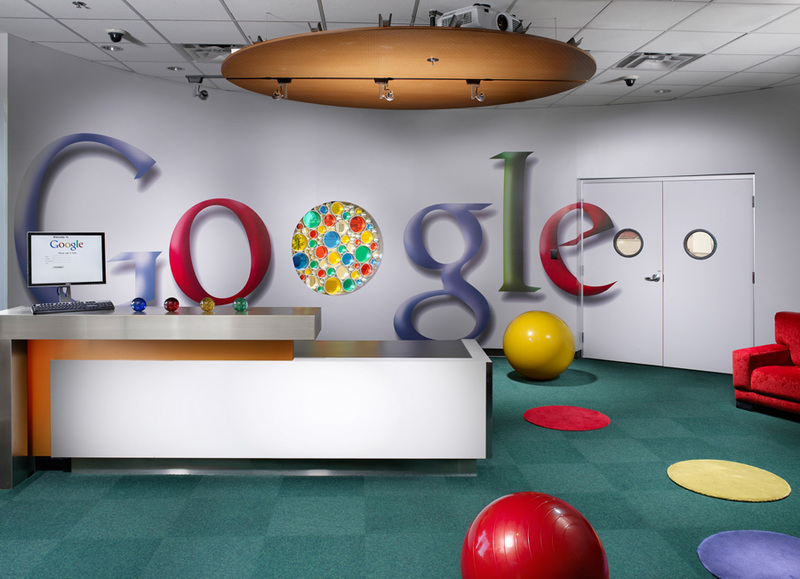 They have estimated that by the end of the year there could be sold around 3 million copies of Nexus 7. The estimates of the analysts at Gartner are based on the data for the deliveries of touchscreens used by Nexus 7. 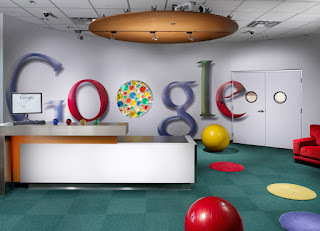 So, according to this data there will be 4 million screens shipped for Nexus 7 in the third quarter of 2012. 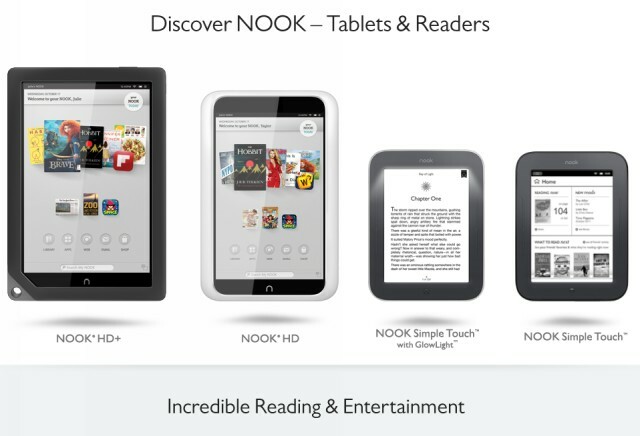 For comparison, Amazon's Kindle Fire who is sold at the same price as Nexus 7 ($199), from his appearance in September last year to date is sold in approximately five million copies. The great demand for Nexus 7 is what encourages Google and Asus, who produces Nexus 7, to further accelerate the production of this tablet. Lenovo announced at the IFA trade fair in Berlin that they will expand its product line Ideatab.The new devices are Ideatab S2110A, S2107A and S2109A, tablets that will work on Android 4.0.